Thomas Jefferson once wrote, “Do you want to know who you are? Don’t ask. Act! Action will delineate and define you.” I advocate this idea as a facilitator and as a human being. Like how dancers practice in front of a mirror, for our team building programs we provide a specialized environment for our participants to act and observe how they act. To further visualize it is the same as a play however they have to do the part of both as characters and director. Only the script is given which in a team building refers to as the challenges and tasks. 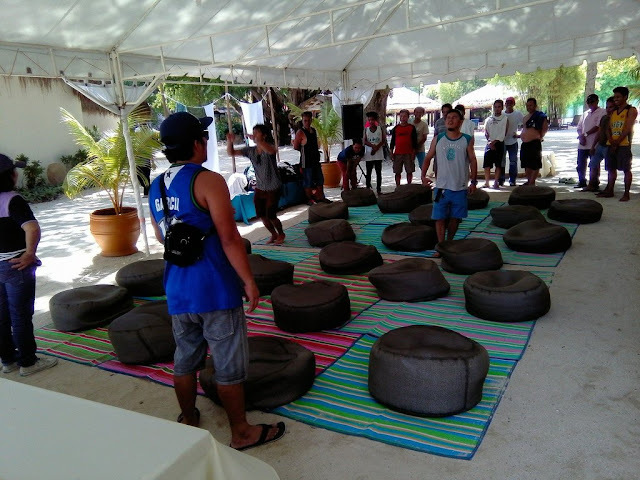 On the afternoon of 25 June 2016, Cebu Teambuilding Facilitators Network conducted a team building program for a Petron team held at Costabella Tropical Beach Hotel in Buyong, Mactan Island, Lapulapu City, Cebu, Philippines. This was the 2nd team building program engagement for the same Petron management team in the past 3 years. 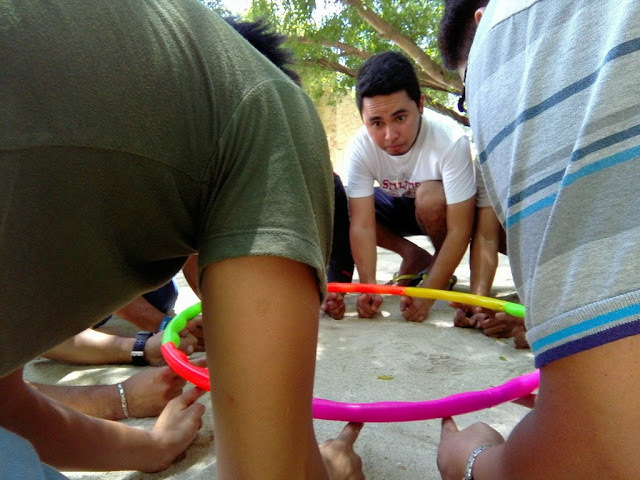 The 1st Petron team building program CTFN facilitated was in June 2014. The Cebu Teambuilding Facilitators Network recognizes the importance of providing its services to student leaders and members of student organizations. CTFN is also aware that the quality of training services provided to student organizations and its leaders are often compromised because of cost considerations. We at CTFN believe that we have a responsibility to impart our expertise and service to the youth and student leaders. It is important for us to be able to help mold the future leaders of our country. This is the reason why we are making strides to make our services within their reach. The rates we are making available for student organizations are really affordable and covers the most basic and necessary costs in a training program without sacrificing quality. We drove the costs down by looking at free and low-cost venues that can provide the needed privacy and space for us to be able to conduct and facilitate effective programs. “Everyone is unique but only a few are special.” This is so true with people, we get to meet different people every day and each of them has their own unique behaviors. But what makes one stand out from the others is that special trait that made an impression on us, a person’s flavor. And just as much people this truth also applies on places to be more specific, team building venues. The venue is one of the deciding factors for a team building program to be successful. The missing piece that will complete the puzzle. To find a good venue is such a relief for both facilitators and participants alike. The place has a modest amount of space to conduct different activities. From pipeline to an amazing race activity for a group of less that 50, you can pretty much do what you want. For a team building event, this factor is of great significance. I mean, who does not want space? Ma. Thesa "Tetet" Lusica is a team development consultant affiliated with the Cebu Teambuiding Facilitators Network. In June 2016, she was appointed as the community relations officer of CTFN. Another year has passed and as we say goodbye to the year 2016, let us take a look back at the year that was for Cebu Teambuilding Services (now known as Cebu Teambuilding Facilitators Network). Five (5) facilitators from CTFN were engaged to facilitate product-specific games during a conference for health professionals sponsored by Pediasure. Involved in the program were Kevin Johnrey Sosas, Clint Eduard Fuentes, Lenbi Laborte, Jalen Crae Co, and Van Kristine Basalo. The conference was held at the Marco Polo Plaza Hotel in Nivel Hills, Lahug, Cebu City, Philippines. Even sports teams where training is done on a daily basis, and the values teamwork and excellence are tattooed on one’s forehead (metaphorically speaking), could use some team building every once in a while. Sometime in July 2016, the assistant coach of the college men's basketball varsity Team of the University of Cebu, Coach Calib Gawangon, contacted Cebu Teambuilding Facilitators Network via our Facebook page for a fun day of experiential learning. The coach’s training needs describe the players’ psychological enhancement and the socio-emotional relationship among the team. In other words, a Self-Awareness and Relationship Enhancement Seminar. To elaborate in laymen’s terms, a workshop that will have (1) helped the players to examine and evaluate their personal development (i.e., as young adults, college students, and athletes) as they reflect on their strengths and weaknesses; and (2) a workshop that will enhance the camaraderie and fellowship among players as well as strengthen their trust and confidence as teammates and as friends. As a team development facilitator, I really appreciate managers who understand how important it is to develop the individual first before demanding their teams to perform. A team is a group of people, and people are not like sheep that follow a herd absentmindedly. We are beings who have ambitions and struggles. So, without further analysis, we had our Self-Awareness and Relationship Enhancement on July 31, 2016 at Lowaii Cebu Marine Beach Resort in Suba Basbas, Lapu-Lapu City, Cebu, Philippines. What followed was a day of full facilitating and an adventurous afternoon of active learning with the energetic athletes of the University of Cebu Webmasters college men's basketball team. These bunch squeezing themselves in as they struggle to flip a small tarp over while avoiding touching the sand. Good players inspire themselves, great players inspire others. That is one of the few quotes that describe this team building that happened in Pacific Cebu Resort last October 22, 2016. The Department of Social Welfare and Development (DSWD) Region 7 had its Teambuilding conducted by the Cebu Teambuilding Facilitators Network (CTFN). As most of us are familiar, the Department of Social Welfare and Development or DSWD is the government institution responsible for the protection of social welfare rights and promotion of social development. Due to size of the entire organization, the team building done by the CTFN was primarily for the administrative department including human resources, maintenance, general services, and some of other supporting departments. The creativity – inspired team building was held at Pacific Cebu Resort, a beach resort that also serves as a good place for team building activities. The day started with the Opening Remarks and the introduction of the CTFN facilitators by the DSWD Regional Director, Mrs. Ma. Evelyn Macapobre. A short ice breaker was conducted to energize the participants and is followed by a Human Bingo getting-to-know-you activity. The next activity Design Your Own Flag allowed the participants to get in touch with the team members and use their creativity in order to create their own flag which represented their team. Each group presented their own flag. Some group even created their own cheer and dance just to stand out with other groups. To further utilize their creative thinking, the next activity – One Less Problem was done. This allowed the each participant to think of a solution on their feet when face with a problem at hand. This activity enabled the participants to always think of the bright side despite the routines of everyday work. A lecture on Organizational Energy was then discussed in order to wrap up the activities during the morning. The lecture talks about the Energy Matrix in which there are Four Energy States each organization possess depending on the emotional, cognitive, and behavioral drive all employees are giving off in their work. The four energy states are Productive Energy, being most healthy, Comfortable Energy, the second best but breeds complacency, Resigned Inertia, a warning sign for any organization which breeds frustration and withdrawal, and lastly, Corrosive Energy, the worst of the four energy states which brings about violence and destructive tendencies when left unresolved. The lecture provided awareness for participants to determine the energy states among their team and departments in order to check how well the overall group are doing. Lunch immediately followed after the lecture. Another icebreaker, the Biggest Fan, was done to re-energize the participants after a hearty lunch. There was a short lecture on Creativity in the Workplace that focused on useful tips on how to convert the workplace into a fun and exciting place rather than a place of dreading. After the lecture, the Chinese Handcuffs activity was introduced. This activity enabled the participants to utilize creative problem solving with the pair and as a group. The final activity – Victoria’s Secret was then done to culminate all the creative ideas of all participants. The goal was to designate a model from each team where members trade their clothes for materials to be used to beautify their respective model. This activity had simple economics in place in order to place value on materials and how much clothing it required in order to achieve the team’s creative appetite. Some team members went all the way to taking most of their shirts, shorts and even undergarments in order to trade greater quantities of raw materials in order to have the edge in beautifying their model. Quantity of materials is only the beginning. The design, usage of materials is another challenge that participants need to hurdle. In the end, all teams had exhausted their creative ideas and have presented a worthy model that represents their team. Indeed, the saying “Good players inspire themselves, Great players inspire others” has become a metaphor that best describes the final activity. The team building ended with a group integration activity, giving of certificates and a group picture with the participants. This article is written by Christopher Douglas Avila, an affiliate facilitator of the Cebu Teambuilding Facilitators Network. He was the Main Lecturer along with Edelyn Codera, the Main Facilitator and 8 assisting facilitators in the Team Building Event for Department of Social Welfare and Development (DSWD) – Region 7 held at Pacific Cebu Resort, Mactan, last October 22, 2016. Basic Customer Service Training for BP Waterworks Inc.
Providing Customer Service remains one of the top priorities in every organization today. Excellent customer service has increasingly become that single indicator that sets companies apart, and divides good companies from great companies. As such, customer service will always remain as one of the key ingredients for organizational growth. BP Waterworks Inc. had their Basic Customer Service Training last November 11, 2016. Conducted by the Cebu Teambuilding Facilitators Network, the company’s objective was to let its employees understand the importance of Customer Service, how it can make or break the company’s reputation towards its clients and how it can affect the organization’s bottom line. BP Waterworks is a private water system company that provides various water services for its clients. Similar to Metropolitan Cebu Water District (MCWD), but privately owned, they provide their clients with water sources, installation of equipment that provide clean and potable water, maintenance of water supplies and many more. Strategic Planning and goal setting is an integral part of any organization. This enables teams to design and forecast their goals in within a certain time frame and help set expectations for the team in order to lead the organization in a unified direction. Strategic Planning can be a tough process especially if different individuals pitch in their ideas with their own set of plans and values that is why most organizations follow a structured flow of discussion in order to brainstorm ideas, set realistic goals and air out concerns in a systematic flow. The Cebu Teambuilding Facilitators Network had its annual strategic planning last December 27-28, 2016. This was an important day for the team in order to reflect its past achievements, discuss what the team did right, focus on their strengths and minimize its risks and failures for the upcoming months. The session was held at Villa Elisea at San Remigio, in one of the beach-side rest houses of one of CTFN’s affiliates, Philipp Chen Tan, who is also a blogger in his site – Chen Psych. The place is one of the untouched properties in Sam Remigio making the place filled with nature’s natural beauty and quiet. More than just a strategic planning session, the event also served as a team bonding moment, a stress-reliever, a year-end party, a Christmas celebration, and a welcoming of a new season or year party. It's never too bad to have a little fun while tackling serious organizational matters. It was a sunny morning and the weather was encouraging. The sun painted a smile in every man and woman who had time enough to go out and admire its presence. Yes, indeed! It was an awesome day for some experiential learning! First Multitech Industrial Development Corporation or FMIDC is a telecommunications technology company in Cebu and the Visayas contracted by telecom providers to engineer the physical connectivity of lines so the consumers can receive signal from whichever provider they’re acquiring. In short, these guys are hired by your landline or internet provider to take care of the hard wiring for them. We rode a motorcycle from Fuente Osmeña Circle in Cebu City to Bluewater Maribago Resort in Mactan to meet our client: King Richard Shop Systems Inc.
King Richard Shop Systems is a company that provides refrigeration services for large-scale businesses that sell perishable goods. Like supermarkets and grocery chains. Which ones? Everyone. Now, while they’re a really cool company (no pun intended), the people who labor in engineering and operating these giant refrigerators are humble wage earners, average individuals who struggle through the demands of daily life. I facilitated this seminar together with team development consultant and CTFN Marketing Manager Lorenzo Jose Cahig. Most of the time, Lorenzo and I would strain to address our subjects in the Cebuano language, despite living all our lives in Cebu-- the struggles of ‘90s kids raised by Cartoon Network and MTV. Ha-ha! And I did mention that our participants were working class people right? So what does that mean? It means, they only speak mostly in the vernacular. Fortunately, as facilitators of Cebu Teambuilding Facilitators Network, we went through intensive training in public speaking and were exposed to countless experiences handling seminars for diverse cultures and who spoke different languages. In fact, we boast of facilitators who speak several dialects such as Hiligaynon and Waray. We are exceptional in commanding Cebuano and Tagalog any time we are called to do so. So much for our challenges as facilitators. 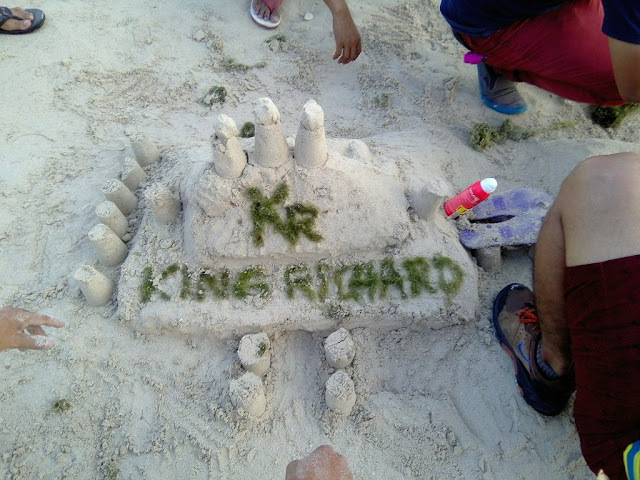 Now, let’s talk about the team building activities we did with King Richard. We introduced ourselves with Lorenzo warming the participants up with an exercise: Tai-Chi Basics, an incredibly energizing icebreaker. After which, we leveled off expectations by passing colorful balls among them; whoever catches the ball gives out his or her expectations. In portion, we gathered that King Richard had more training needs than we were actually informed about when designing the modules for their program weeks before. When this happens, the facilitator will have to revise the program and adjust according to the identified need. Any true facilitator, committed to implementing only the optimal training program for his clients, had done this act countless times and will continue to do it whenever there’s a need. Now, for the team building proper, we challenged the participants with the Helium Ring. If you followed our previous articles, you’d know how this activity works. But for those who are not savvy, this activity involves hula hoops, and the challenge is to bring the material down to ground level using only index fingers in an outward pointing position. The catch is if any finger detaches from the hoop at any given circumstance, they must restart to the first level. A task that is almost improbable unless they cheat or someone stands up as a leader and effectively commands the team to move as a single, unified organism. Is this activity fun? Absolutely delightful. But is it also difficult and stressful? Very. But then why did we deem it optimal to be at the first roll? Simply because we aim to reveal the nature of their team dynamics and help the participants gain awareness of their teams’ level of cooperation and coordination (or lack thereof). Was it successful? Well, it did drive all the participants, even the boys who seemed brutish and unruly during the GTKY activity to simmer down on their tomfooleries and took the debriefing seriously. Now, the debriefing, of course! I won’t go into detail, but I was gladly surprised by the insights the team had put out in the discussion. Issues were cast into daylight and plausible solutions were immediately rolled in like dice. Indeed, there was what’s sounds like a concurrence! I was so tempted to wrap it all up and end the training there while their teamwork juices flowed, pack our props and go home; but I know that there were still more things that we could do with this team. So we stayed, of course, and besides we were contracted to do the training for one full day..
Kidding aside, when you have participants that are committed to enhancing their team and really determined to see through the challenges and to acquire all those learning, the rest of the day would just glide. After the Helium Ring, we did the Minefield. In this activity, the participants are given a scenario where they’re all survivors of war and who got blind except one colleague. The only way to go home and be safe is through a minefield. This one colleague who kept his eyesight guides the whole team through the field without any of them touching the mines scattered around. We used to do this with colorful toys like Lego blocks that also hurt really bad when stepped on. Just kidding! This is a perfectly safe activity; in fact, for King Richard, we used the resort’s bean bags as mines. After the Minefield was, of course, the relentless mind game Warp Speed. You all know this activity. It’s the one where they rotate the ball among every member of the team and doing so in the shortest time possible. This provides them an avenue to create strategies, do problem solving, and display creativity. This also demonstrates the simple yet profound truth that “just ‘cos it’s the known and accepted way of doing things, it does not follow that it’s the only way--or even the best way.” An insightful activity that uses only a single ping-pong ball. Debriefing these experiences were one of tremendous pleasure. Since everyone was engaged, the group automatically induced a focused and fast-paced discussion and met my questions with fierce, spontaneous responses. Then it came to finally close the team building program. Before the wrap up, Lorenzo and I did a climactic activity to to end it beautifully: The Sand Art. In this activity, the participants spent some time at the beach, right along the calm waves that rolled gently toward the milky-white shore. It was almost musical watching them adjacent to the setting sun and seeing a single team unified by their collective vigor and passion for the company and for each other. Seeing not, coworkers laboring, but a family supporting each other. Carving their masterpiece in the sand. Everyone helped. Everyone contributed. It took an hour. So beautiful. We took pictures. In the end, what matters is they understood how fragile and collapsible a company can be if it was attacked from the inside---like a tower built on sand. Note: This article is written by CTFN team development consultant Nathaniel John Arong who was the main facilitator for the King Richard Shop Systems team building event.